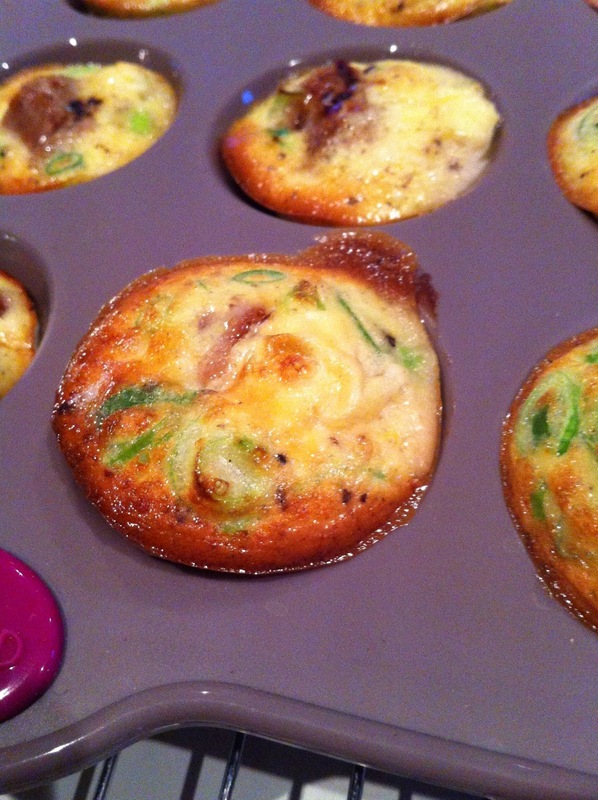 These sausage and egg breakfast bites are another Pinterest inspired recipe, only this time it didn't turn out too shabby unlike my other Pinterest fails of mini maple sausage and egg muffins or baked egg avocados. Eggs are a pretty popular pin, I guess? Yesterday, I was helping with the judging for British Sausage Week. I'll have a vlog about that sausage filled day after the weekend. After the judging was over I had sausage on my mind so when I got home I donned my new Sausage Week apron (I'm starting an annual collection of these now) and whipped up my own version off the eggy baked muffins that have been filling my social media feeds recently. Lightly fry the sausages and then slice them into 2cm thick slices. You need to fry the sausages first to seal them or they will collapse and the filling will break down and float into the egg. 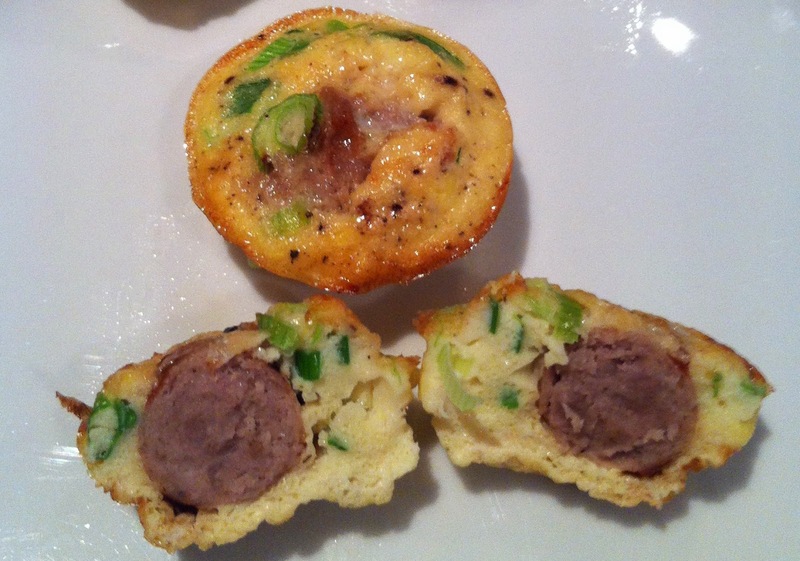 Place a slice of sausage into each of the mini muffin holes. 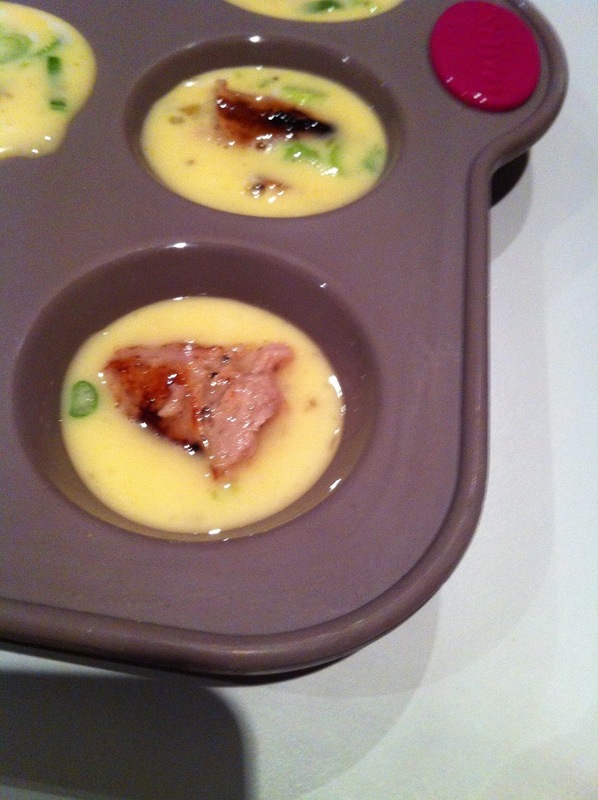 Mix the seasoning with eggs and spring onions then pour the liquid two thirds of the way into the mini muffin tin. Bake in the oven of 220c for 8-10 minutes until springy and golden on top. Do you have a Pinterest project you really want to master? I was trying to instagram my breakfasts daily but I haven't been very good recently. If you follow me on Instagram please shout at me on Instagram when forget!